VANCOUVER — The Union Titans thrive under pressure. Even in games that start out like there will be no pressure. 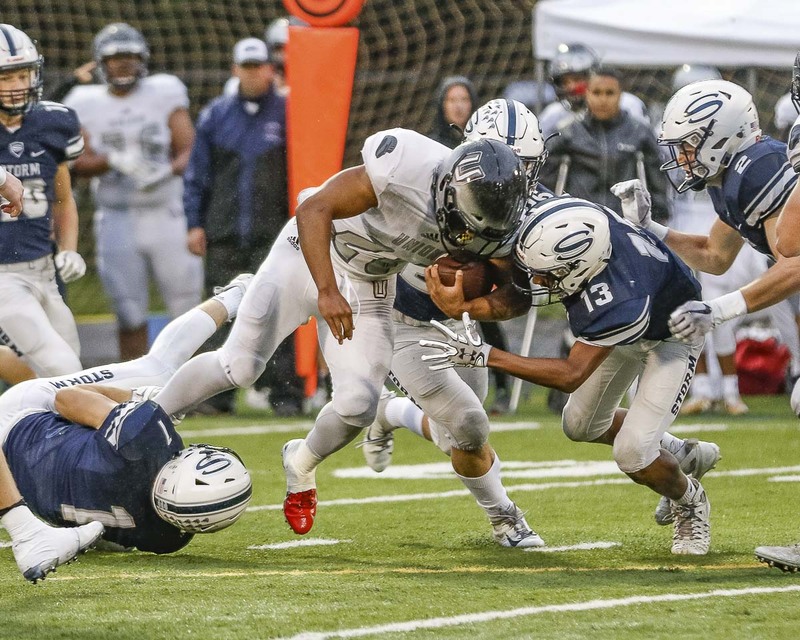 The Titans scored on their first three possessions Friday night, but then had to survive a crazy comeback bid, escaping Kiggins Bowl with a 21-15 win over Skyview in a Class 4A Greater St. Helens League football game. Union, ranked No. 1 by The Associated Press, improved to 6-0, and four of them have come down to the final minutes. A week ago, it was the offense scoring three touchdowns in the final nine minutes to rally to victory after the defense got enough stops to make it happen. This week, the challenge was put solely on the Union defense in the final two quarters. 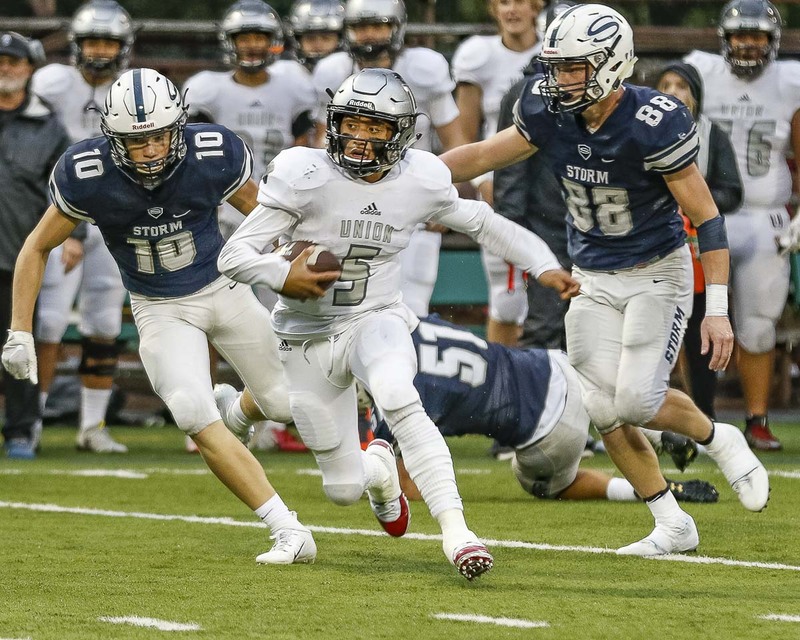 The Union offense, struggling after an injury to quarterback Lincoln Victor, was shut out in the second half, and Skyview had the momentum. Jalynnee McGee had a 77-yard punt return for a touchdown for the Storm and a 77-yard touchdown run, giving the Storm hope. The Titans crushed those hopes when the Storm were stopped short on a fourth-down play at the Union 15-yard line with 1:35 left in the game. While not confirmed, it was believed to be Tyler Summers with the fourth-down tackle, preserving the six-point lead. From there, the Titans were able to run out the clock, taking a knee at their own 1-yard line on the final play of the game. Victor scored on touchdown runs of 7 and 19 yards in the first half. Jojo Siofele had a 12-yard touchdown run with four minutes left in the first half for a 21-3 lead. Three drives, three scores. But then Victor was no longer at quarterback. He suffered what he would later call a bone bruise and a strained muscle in his back. The Storm took advantage, playing inspired defense. In the first five possessions of the second half, Union’s offense punted four times and McGee intercepted a pass. One of those punts was returned for the touchdown. One of the punts led to the long touchdown run. McGee, playing in his first game in weeks after a health scare, finished with 120 yards rushing, that punt return, plus two interceptions. His second touchdown made it 21-15 with 8:01 left in the game. That is when Victor returned to the field. “The legend grows,” Rosenbach said of his QB. “The love of the game put me back in there,” Victor said. “It was killing me to be out. Something told me, ‘Hey, you gotta get out there.’ Why leave something out there? 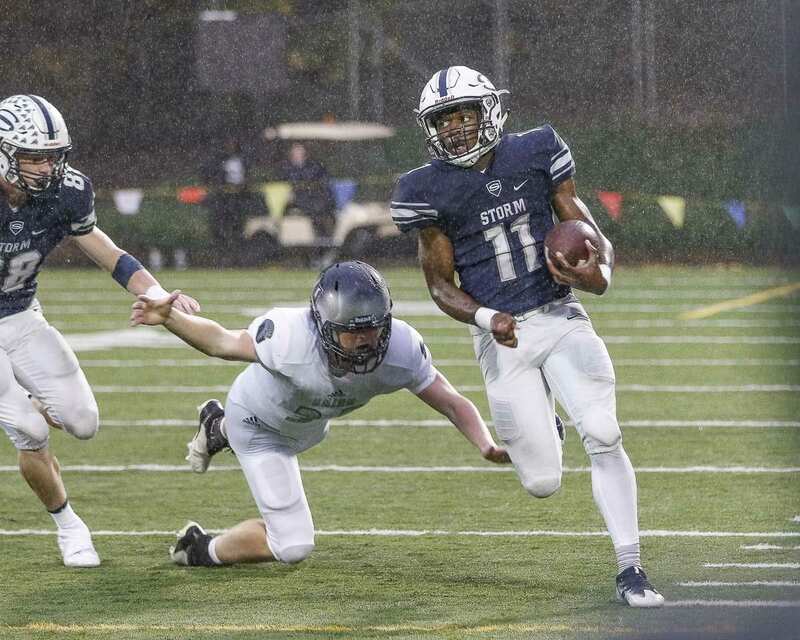 Victor’s return helped his squad — the Titans would get a first down on that drive —- but by then all the momentum was Skyview’s. McGee intercepted another pass, setting up Skyview with the chance to tie or win. Union opened the season with five non-league wins. 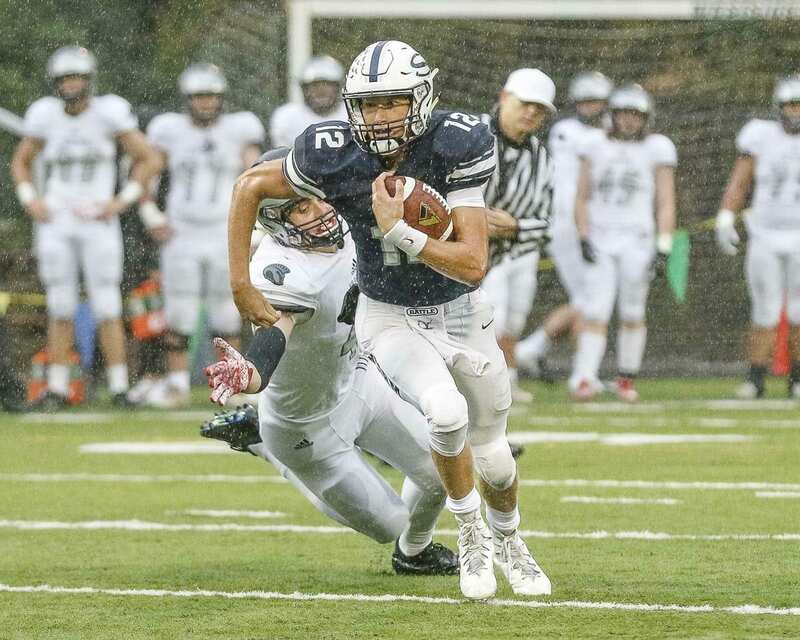 Now the Titans are 1-0 in the GSHL. The 6-0 mark does not mean much to them. Not right now, anyway. Is the Clark County measles outbreak over?